Orchids are beautiful flowering plants that take a little extra care to grow. They don’t grow in regular potting soil, and they take some extra attention to get to bloom. Even though they need some extra attention, orchids are well worth the time and the effort because of their beauty. At LolaFlora, we offer the best orchid plants for sale. Their blooms add elegance and interest alone or as part of a flower arrangement. Orchid plants purchase price can be reasonable or very high for some specialized types. All year round, orchids can be purchased at LolaFlora. These exotic, elegant plants bring a touch of class and style to your room. They are also a beautiful gift idea. At LolaFlora you can select an Orchid, available in a variety of colors and have it delivered directly to its lucky recipient. 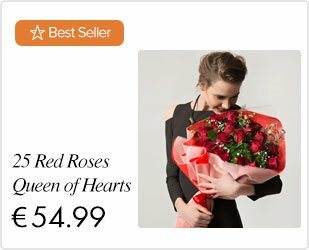 Our modern and convenient international flower delivery service means your flowers can be sent wherever you want to whomever you want for the perfect surprise. No matter the color or type, we guarantee the orchid delivered will take that special someone’s breath away! New to the orchid collection is orchid bouquets, with orchids arranged with a variety of flowers. Consider a fragrant bouquet of yellow daisies with white orchids or blue orchids with red roses. A romantic flower, bring orchids for a first date to impress. Pair white orchids with white roses or white gerberas to create a stunning white wedding bouquet. 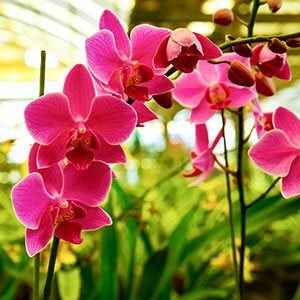 There are many varieties of orchids, the most special of orchids are Phalaenopsis, Oncidium, and Dendrobium. Although they have been cultivated all over the world orchids are typically grown in Asia as well as in New Zealand or Australia. People have long had a fascination with the unique beauty of orchids, they are now a very common and fantastic gift idea. If you are contemplating purchasing this plant as a gift for someone special, you can get these potted flowers online. Orchids require little water and they also do not like direct sunlight, they prefer a half-shady wind protected location, where they will thrive. Rainwater is optimal choice as that is how orchids get their nutrients, we realize this may be difficult so filtered water is the next best option. Watering them once or twice a week is sufficient for most orchid species. Adhering to these easy tips will ensure that each beautiful orchid gift will last for years to come. Orchids make up the perfect gift for the elegant people just like you. LolaFlora have come up with a wide variety of hand-picked orchid flower arrangements for those who love to express their feelings in a royal manner. 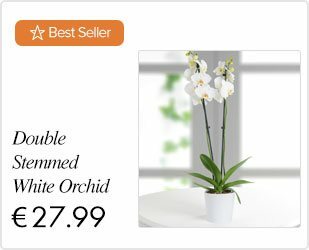 Gift these blossoming orchids to the ones you love on special occasions like birthdays, anniversaries and Valentine’s Day with a romantic Valentine’s Day message or even on no occasion. Blossoming like butterflies, these orchids are sure to cast their magical spell. At LolaFlora, we are determined to spoil you for choice with our extensive collection of beautiful flowers. Our network of expert florists has been delivering exquisite floral gifts on your behalf for over 30 years, ensuring that each and every one is of the very best quality, created with care and presented with a smile to delight every recipient. We pride ourselves on having a broad range of choices for any occasion be it a birthday, anniversary or just to say thank you. We offer next day delivery, to make sure that whenever you need your gift delivered, we can be there. The orchid’s rank in the cut flower world is the same as that of the diamond and other precious stones in the jewelry business. So when choosing flowers for special occasions such as weddings, anniversaries and birthdays, there is nothing richer and finer than freshly cut orchids. It is important to understand, however, that not all orchids are suited to be cut flowers. In addition, how long your orchids will last depends on the variety, and the use and care the blooms receive. All varieties of cut orchids offered by us have been specifically bred to be cut flowers. They are long lasting, open quickly, do not fade, and do not bruise or spot easily. Order your orchid plant at LolaFlora today!